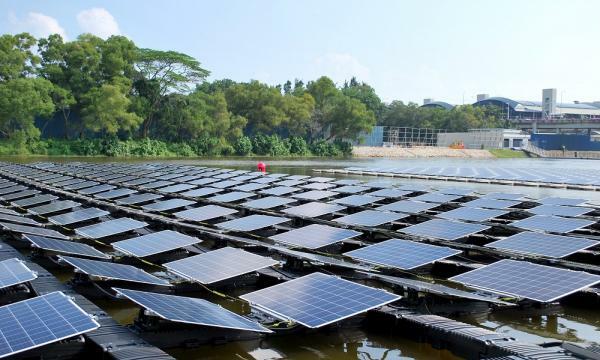 The Housing & Development Board (HDB) is studying the use of its floating modular system to hold solar panels in open sea conditions, after implementing its invention in Punggol Waterway in 2011 for a floating wetland system. According to an announcement, the modular system has since been deployed for a floating solar system in Tengeh Reservoir in Tuas in May this year. HDB will be signing a research collaboration agreement with ISO Landscape at the upcoming World Cities Summit in July 2018 to cover the development of a Floating Solar System for coastal marine conditions, that can address harsher environmental conditions such as stronger winds and wave action. Invented and patented by HDB, the floating modular system utilises an interlocking solution to create a light-weight structure. The resulting form is thus a floating system, which allows flexible configuration in any size and shapes to carry heavy loads. One area that is being studied is the use of this system to hold solar panels on water bodies to harvest solar energy. HDB noted that a large majority of solar panels are installed on the rooftops of HDB blocks. To date, solar panels have been installed or are being fitted in more than 2,400 HDB blocks. One of the solutions is to deploy solar panels on water bodies, as a floating solar farm. “On water, the solar panels can potentially receive maximum sunlight as these water bodies are typically free of obstruction,” HDB said. In January 2018, HDB signed a Research Collaboration Agreement (RCA) with Million Lighting Co Pte Ltd to develop a 100 Kilowatt Peak (KWp) floating solar system in Tengeh Reservoir in Tuas, using HDB’s modular system. Each module can support up to 75 kg. 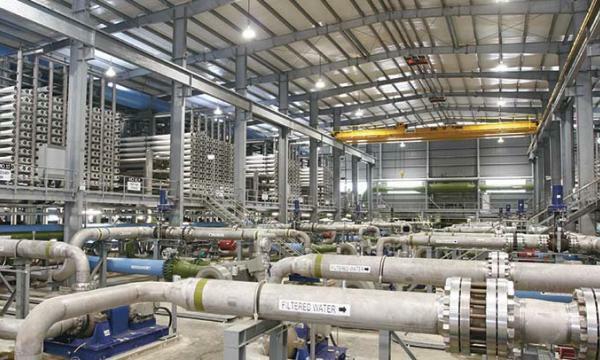 A total of 864 modules was deployed at Tengeh Reservoir. Together, they support 368 solar panels and inverters, weighing some 9,400 kg. Launched in May 2018, the Floating Solar System is estimated to generate about 120 MWh of electricity in a year and reduce carbon emissions by 60 tonnes annually.